With our long-standing reputation as a strong piano school, TCU offers a wide-ranging program to students of varying abilities. Piano majors study with an internationally known faculty of artists/teachers through a variety of program options. Pedagogy, as well as performance, is offered as a major at both the undergraduate and graduate levels. Non-majors can access faculty instruction in our excellent group piano program. Learn more about our piano pedagogy program. Learn more about our collaborative piano program. In addition, the School of Music offers the Artist Diploma program for exceptional pianists who seek a conservatory approach rather than the traditional course of study leading to an academic degree with a performance major. It’s available to both pre-baccalaureate and post-baccalaureate students. 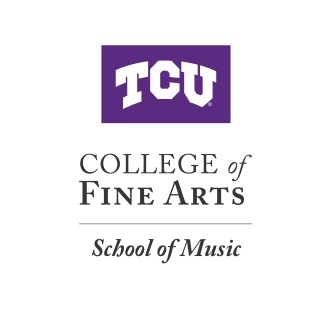 For undergraduates and graduates interested in attending the TCU School of Music, there is an admissions process. Learn more about the audition requirements. Scholarship support is available for talented undergraduate music majors. Assistantships that include full-tuition remission plus a stipend are available for graduate students. In addition to studying at a first-class university, our piano students perform in weekly piano division recitals, master classes with world-renowned artists, an annual competition for an opportunity to play a concerto with the TCU Symphony Orchestra, as well as a variety of chamber music ensembles. Students participate in outreach opportunities, enriching the lives of those in local schools and the community. Many of our piano majors go on to successful careers in music. Undergraduates are prepared for graduate study at the school of their choice. DMA graduates enter the professional world as educators. Our Artist Diploma students become prizewinners in major competitions and build successful careers as performers.